In the last week, the country’s education system came under scrutiny once again with the release of the 2013 Matriculant results. 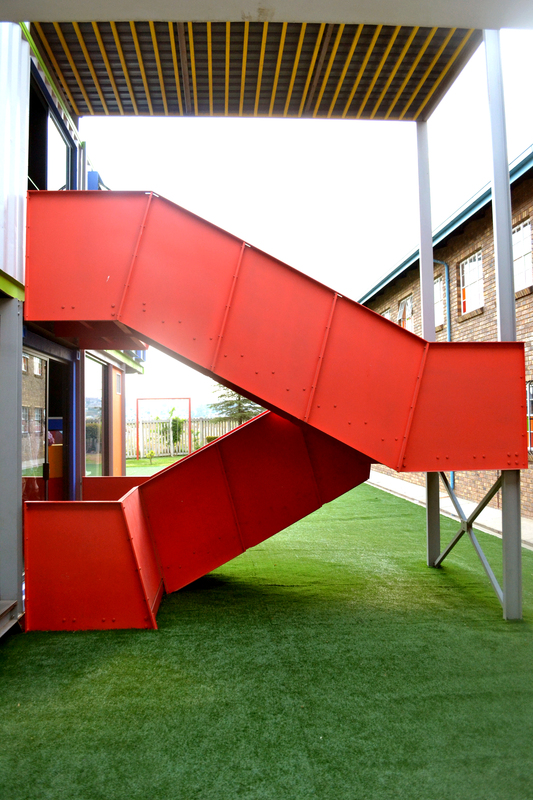 If architecture is meant to serve and be an extension of our lives, then are we providing the right spaces for learners to be inspired, motivated and flourish? 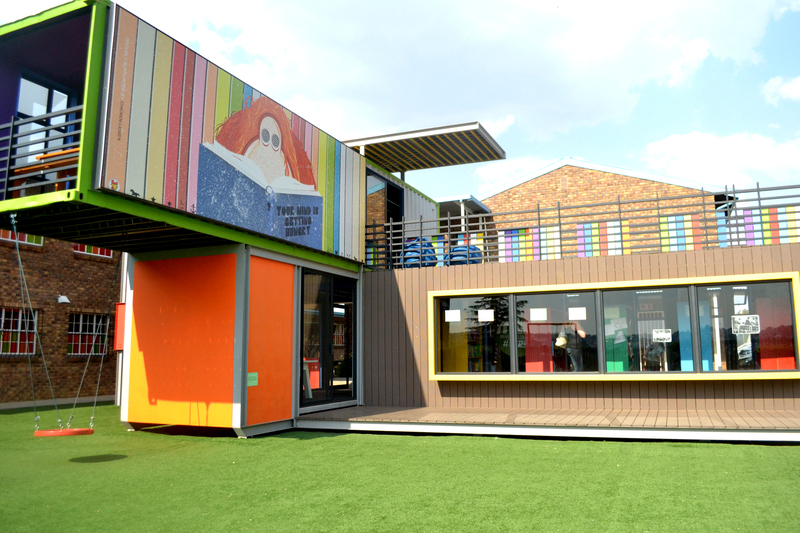 Commissioned by the MAL Foundation, Johannesburg based Architects of Justice were given the task to design a world class library for the MC Weiler Primary School in Alexandra, Johannesburg, with the intention that the blueprint can be used for future libraries across South African schools. Conceptualising the brief for such a library, started with a list of required spaces, which included a place for books and audio books, study space, a multimedia centre, indoor and outdoor spaces as well retreat spaces where learners could escape to read, always ensuring that each of these spaces are exciting and stimulating for children. All very characteristic of such a building, but rather difficult to achieve with the funding that was available to the project. 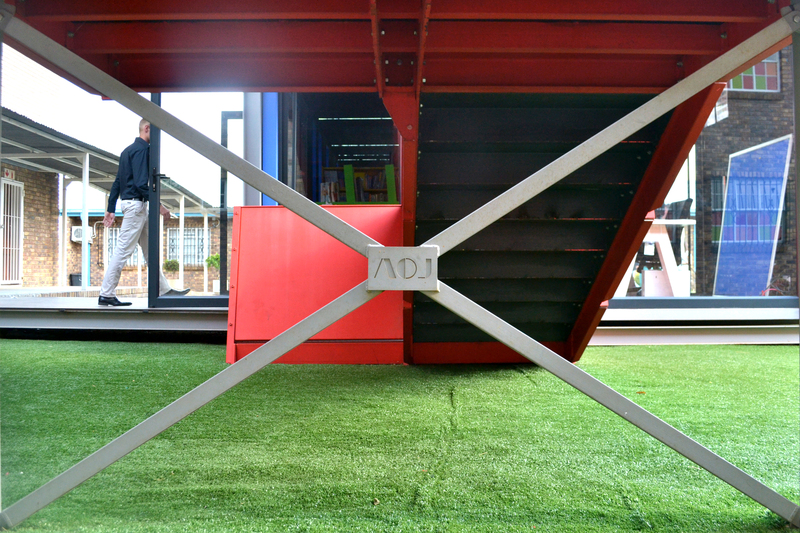 Architects of Justice decided to go back to the drawing board and plant a new SEED, a SEED that would become iconic in the township landscape in which it is sited, and the South African built environment at large. 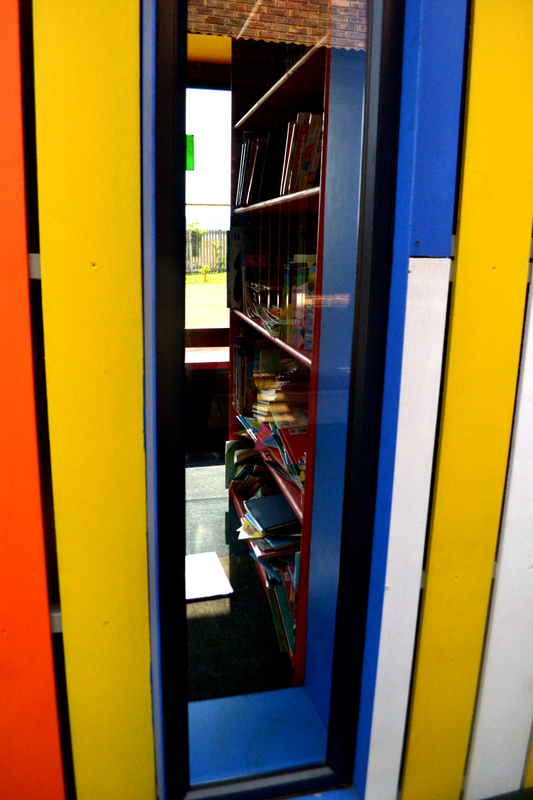 The solution was a semi-permanent building in the courtyard of the school which starts to re-think the traditional Library Model and inject some energy and animation to the discourse of South African schools and libraries – A germination of knowledge, a ‘Supplementary Extended Education Device’. The design uses two shipping containers stacked perpendicularly to form a cross-shaped plan. 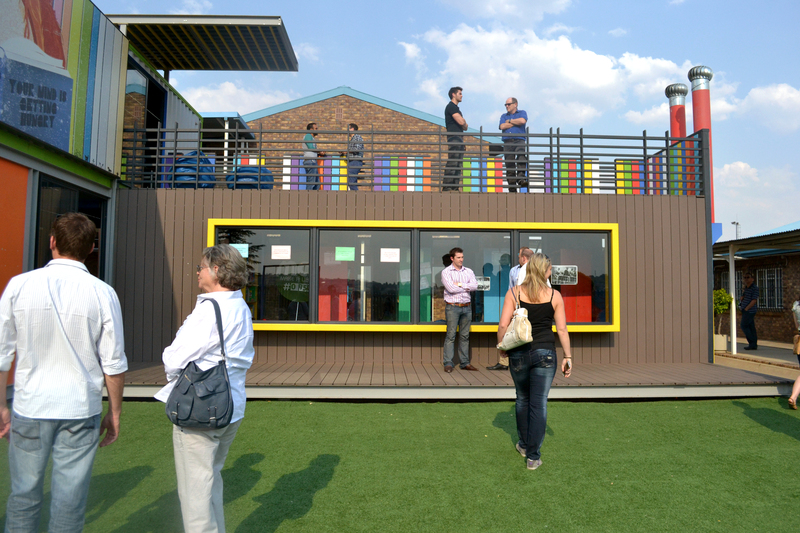 The ground floor houses the books while the upper floor makes accommodation for reading and study rooms as well as outdoor reading spaces via a deck which is also used as a stage for school assemblies. The bright, bold colours and visual construction methods make for an aesthetic that is exciting, and unlike anything around it in the streets of the Alexandra, and still, relative. 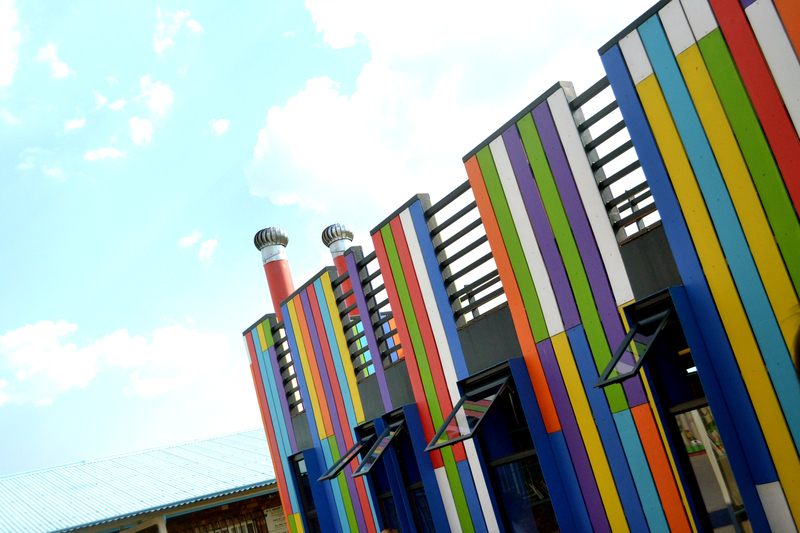 The colourful building pops its head amongst the surrounding classrooms and is immediately visible on entering the school grounds – like a proud peacock showing off it’s feathers. 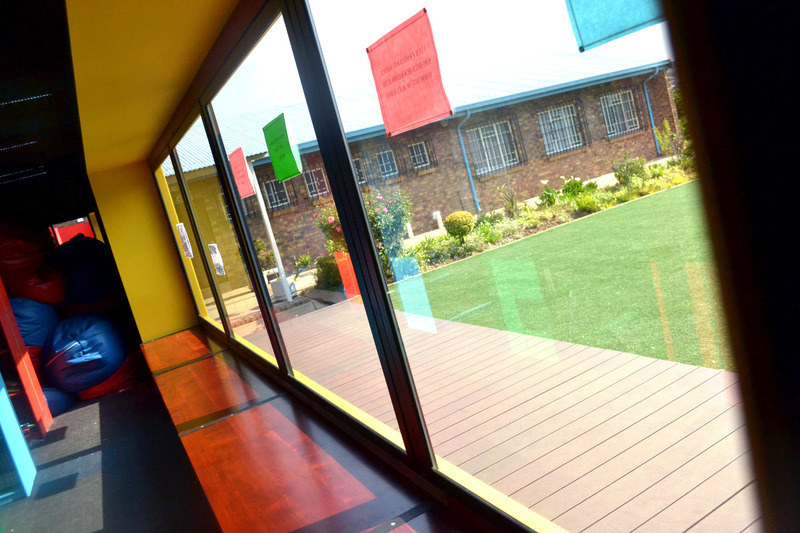 Long, thin windows pierce the container and allow for glimpses into the courtyard space and Alexandra beyond. 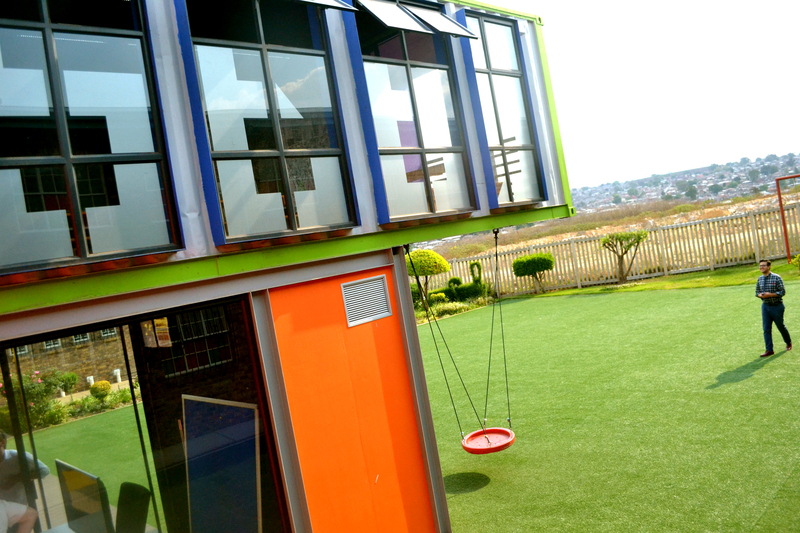 The shipping containers were chosen for their ease of transportation as well as for its sustainable green benefits. Retrofitted insulation, cross ventilation, passive cooling, extend the architecture’s success to a level of technical, functional and aesthetic resolution. 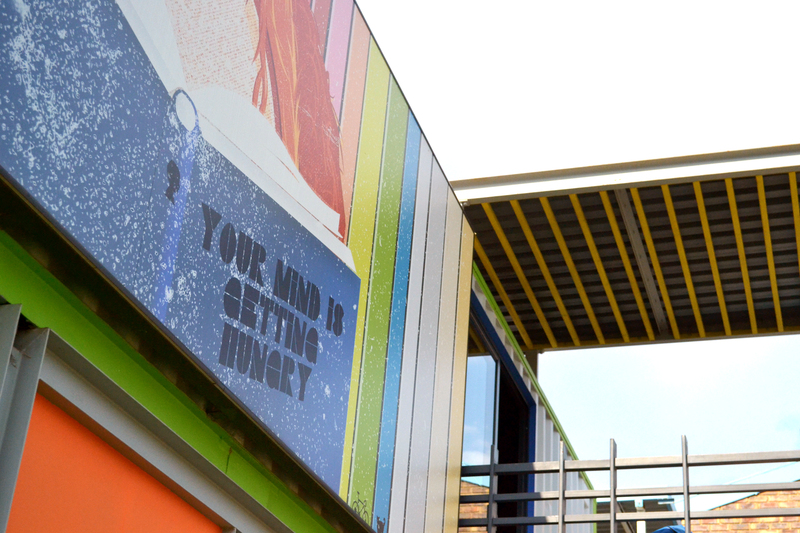 This modular construction method meant that the library could be put up in a speedy 4 months, which also means that the SEED can be planted in identified future locations with ease, speed and efficiency. 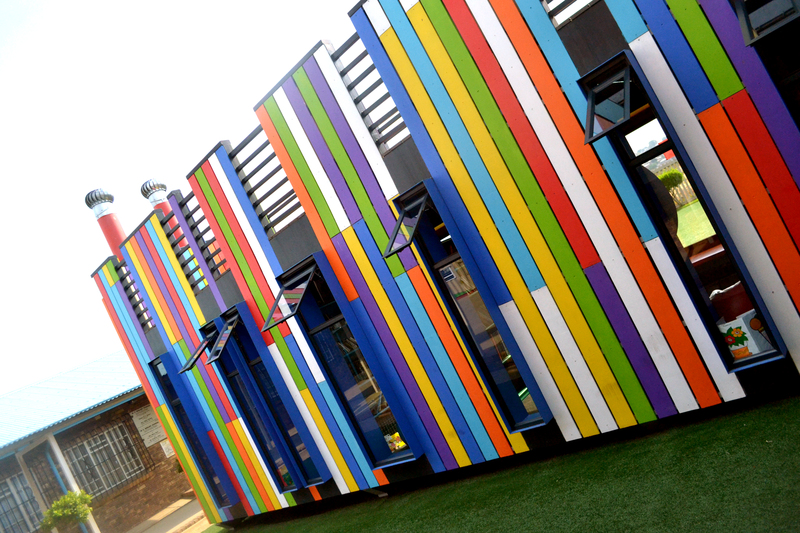 The building does more than provide housing for books; it is striking, it starts a conversation, makes a statement, allows for stimulating indoor-outdoor connections, re-interprets the brief and stands apart for its innovative solutions. It’s success was reaffirmed through it’s recent awards received at the Loeries as well as the Gauteng Institute for Architects Merit Awards last year. 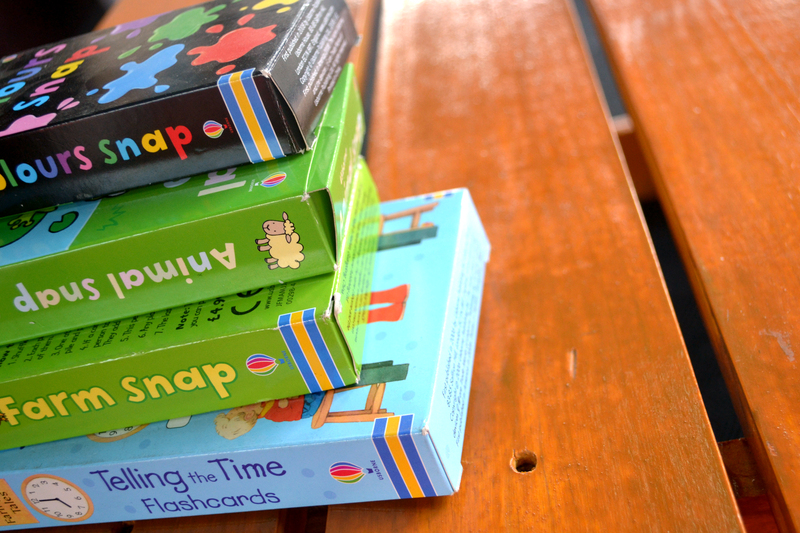 Architects of Justice have developed the dynamic, bold prototype. All they need now, are willing sponsors to roll it out across the country. A rather worthy sponsorship I believe, to educate and fuel the minds of the children of our nation through design that is exemplary and notable, through creativity and sustainability. Let’s hope the support for continued commendable and innovative architecture is something we can take through as part of our future legacy, that we can address our education spaces in a way that is transformative and groundbreaking.